NASCAR’s race at Daytona saw a rather surprising top 11 that was filled with drivers who don’t usually finish that high. Drivers like Paul Menard, Michael McDowell, David Ragan, Brendan Gaughan, Chris Buescher, and Corey Lajoie all walked away with there best finishes of the year. So how were drivers that usually don’t finish above the top 20 able to not only keep up with, but beat NASCAR’s finest? The Multitude of reasons from plenty of accidents to knock out the top drivers to tight pack racing leading to very few cars being off the pace of the leaders stems from one single device called the restrictor plate. But why does NASCAR use the restrictor plate at all and why does NASCAR use it only at the super speedways (Daytona & Talladega)? 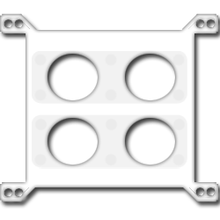 The restrictor plate is a devise installed on the intake of a car’s engine to limit its power. 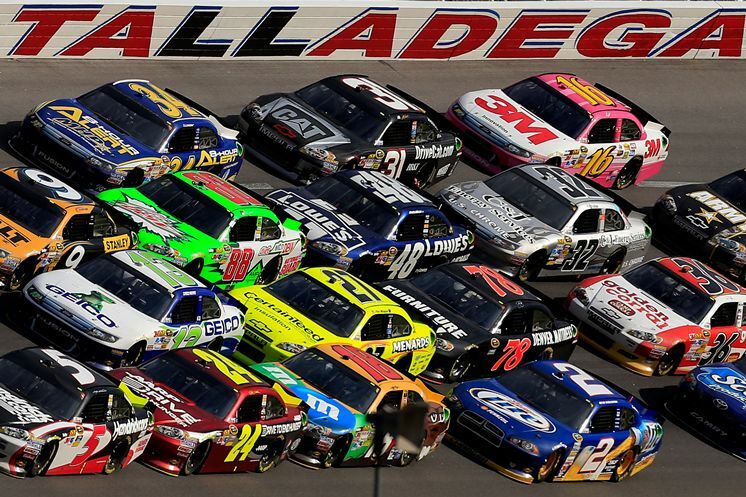 By limiting the car’s power the speed at which NASCAR vehicles run becomes capped. The NASCAR Monster Cup Series has used restrictor plates at only Daytona and Talladega since 1988 because of the banking in the turns. Talladega’s banking is the steepest in the sport at 45 degrees and Daytona is not that far behind. Such steep banking allows car to enter into turns without slowing down and reach dangerous speeds that make the cars harder to control and any wrecks that happen all that much more dangerous. There have been three reasons that NASCAR used restrictor plates. The first came in 1970 as a response for escalating speeds. After testing and input from David Pearson, Bobby Allison, and Bobby Isaac NASCAR decided to mandate the restrictor plate. However cars that ran the smaller engine option (358 cubic inch instead of 427 cubic inch) were exempt from this and at this point the restrictor plate was viewed as a transitional period until the bigger engine was phased out of the sport. 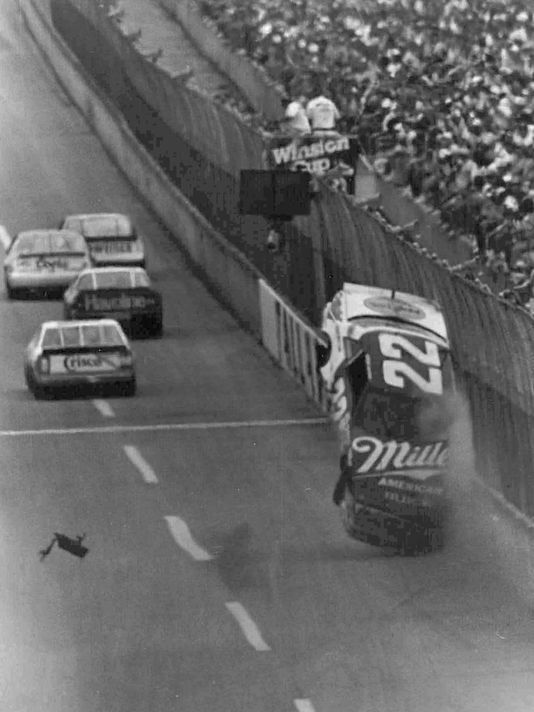 The second use came following a crash from Bobby Allison at the 1987 Talladega race. Allison’s car blew a tire heading into the tri-oval at 200 mph and would spin around and become airborne into the catch fence. Even though the fence did hold and keep Allison’s car out of the grandstands over 100 feet of fencing was destroyed and several spectators did receive injuries. 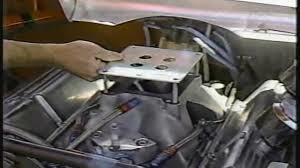 The following summer at the super speedways NASCAR would run the cars with smaller carburetors in an attempt to fix the problem but would end up mandating restrictor plates again when this proved ineffective. NASCAR would also implement the roof flap to help keep cars grounded in 1993, but data has shown that the flaps become ineffective at speeds above 204 mph resulting in the restrictor plate remaining in use. The third use came in 2000 following the fatal crashes of both Adam Petty and Kenny Irwin Jr at New Hampshire International Speedway. Up until this point NASCAR had only used restrictor plates at super speedways. The plate was mandated for the next Bush Series New Hampshire race to help alleviate stuck throttle problems which resulted in the fatalities listed above. The restrictor plate was abandoned at New Hampshire following this race with the creation of the kill switch effectively fixing the problem. Despite the safety that restrictor plates bring to super speedways there use does create a few safety problems f its own. With restrictor plate races comes pack racing where all the cars are bunched together instead of spread out like at all other NASCAR tracks. Such tight racing means that if a driver is to spin out, much more cars will be collected in the ensuing wreck since they have less time to react and bigger wrecks are always a safety risk. Tighter racing also means the pack drafts together which ironically increases the car’s speed. At the end of the day though restrictor plates create far more positives than negatives and though some will complain about how it effects the quality of racing the safety of the drivers and the fans comes first.